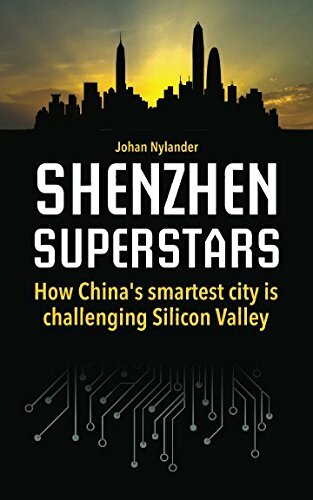 Amazon.com description: Product Description: This short but powerful book is about the fastest growing city in history â Shenzhen. Itâs the story about how a Chinese fishing village became a global economic powerhouse of innovation and technology. Just four decades ago Shenzhen was a backwater area, populated by fishermen and rice farmers. Today, itâs home to up to 20 million people and some of the worldâs leading technology companies and most innovative tech startups. No other city better symbolizes the rise of modern China. And no other city challenges Silicon Valley more aggressively as the global hub for innovation and technology startups. In many ways, the Chinese city has already outsmarted the Valley. âShenzhen has an energy of growth â the same energy I felt when I first came to Silicon Valley ten years ago. And itâs not just in technology. Itâs this idea that whoever you are, whatever youâre into, you can come to China, and especially Shenzhen, and do it!â American entrepreneur Scotty Allen says in the book. Shenzhen Superstars is written for anyone who wants to be part of this raging growth story â no matter if youâre a tech buff, investor or just someone curious about knowing whatâs driving the future.